CHARLESTON, S.C. (AP) - Rosa Parks refused to give up her seat on a Montgomery, Ala., bus in 1955, the same year Charleston's Cannon Street All-Stars and their parents held tightly to baseball dreams. "All the fathers must have gone to some kind of convention because they were all telling us we could be the next Jackie Robinson, Roy Campanella, or Don Newcombe," recalled John Bailey, one of the former All-Stars and now a contractor in Kensington, Md. Eight years earlier, Robinson broke the Major League color line, but the sun set fast on the 1955 Cannon Street team. 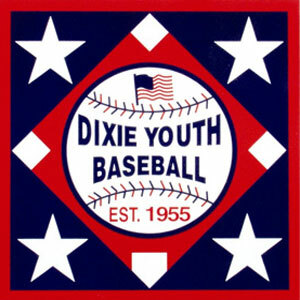 The 12-year-olds advanced by forfeit in city, state, and regional Little League tournaments after white teams seceded from Little League too immediately form what became Dixie Youth Baseball. Founded in Charleston, Dixie Youth's original charter stressed "for the best interest of all concerned that this program be on a racially segregated basis." The impact stymied organized baseball activity among black youths in South Carolina, particularly in the Lowcountry, and resonates today. What began as overt racism in 1955 still dilutes baseball interest among blacks.
" That's part of the reason," said Ramon Jackson, a doctoral candidate in history at the University of South Carolina who studied the Cannon Street All-Stars extensively before starting his doctoral thesis on youth leadership among blacks. "The other thing that's important to know is that organizations in South Carolina, including parks and recreation commissions, were very forward-looking. They knew the Civil Rights Act might actually happen and wanted to maintain segregation even if the federal government stepped in." 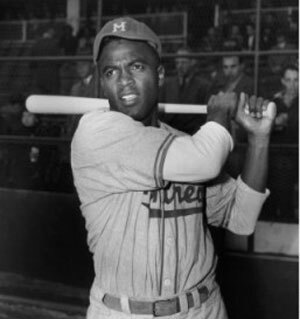 When Jackie Robinson broke the big league color line in 1947, it was a dream come true for black players and fans. But some breakthroughs take longer than others. As the Jackie Robinson movie "42" hit the big screen 66 years later, the Lowcountry has still not produced a black major leaguer. Of the 33 black South Carolinians that played Major League baseball, none came from Charleston, Berkeley, Dorchester, or Georgetown counties. 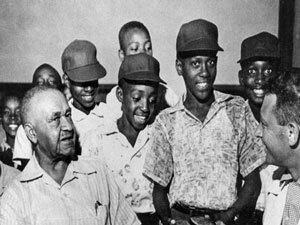 Dixie Youth Baseball eventually integrated; dozens of future black Major Leaguers (and Michael Jordan) took part, but that was long after founder Danny Jones of North Charleston signed up 537 teams in 122 leagues for the 1956 season, with 390 leagues in eight Southern states by 1962. As Dixie Youth took over, Little League baseball withered in South Carolina, and so did the organized baseball opportunities for black children. "When I played, there was no American Legion baseball for us. There was only the sandlot," said 65-year-old Gus Holt, a teacher who played youth baseball in North Charleston. "Then, when blacks started integrating into high schools in South Carolina, they were steered toward football and basketball. Why? Those are the revenue-producing sports for all schools." But George and Penny Jeter spent a recent weekend watching their only child play baseball at fields in and around Charleston. He participated in a Memorial Day weekend tournament with his 15U Diamond Devils travel team. There they were in Mount Pleasant that Saturday, at College Park that Sunday, and at Charleston Southern that Monday. Jeter was one of just a few black players in action, or the only one. 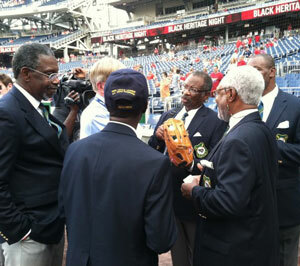 "I like football, too," George Jeter said, "but I'm glad he has stayed with baseball." The splintering of youth leagues in the South that began with the introduction of Dixie Youth led to an alphabet soup of leagues and multiple "state champions" by the 1990s. Enter travel ball, and the quest for elite competition. It's a time-consuming and expensive summer for the Jeters. Jordan's parents will spend more than $2,000 (not including equipment.) High-tech bats go for $400. Their summer itinerary includes Greenville, Rock Hill, Myrtle Beach, Atlanta, Columbia, Charleston (twice,) and Florida. "It takes a parent who is willing to give up everything," said George Jeter, who works for UPS. "Everything, including your rest on the weekend after a 50- or 60-hour work week." A full year of travel ball means surrendering 15-20 weekends. The goal is nebulous compared to other college sports. Baseball as a "non-revenue sport" offers 11.7 scholarships per 35-player roster, while football and basketball are full-scholarship sports. It's not necessarily a race thing - no one likes buying a $400 bat. But if parents can pick between full-scholarship sports that cost less to play or a partial-scholarship sport that costs a lot, baseball usually loses. "I coached a travel team in Union," Jeter said. "The Carolina Sting, with 95 percent black players. If we asked the kids to pay $5 or $10 for a tournament, the answer was no." So is there a remaining issue of racism in education when it comes to students and their families having to cover the costs of playing a sport that offers little to no financial backing from the school system? The Jeters’ regularly hauled two carloads of kids to tournaments around the state. They aren't worried about the 11.7 scholarship issue at the end of the baseball rainbow - Jordan is near the top of his class academically. Camron Hooks found a way to mix baseball and academics success, too, with help from a strong community program. Hooks graduated this spring from The Citadel, thanks partly to a $5,000 per year scholarship he received from the Charleston RBI chapter. The program, sponsored by the minor league Charleston RiverDogs, includes 40 players ages 13 to 18. Hooks, a member of the first Charleston RBI team in 2008, was a Garrett Academy of Technology student when he won his scholarship award in a national RBI essay contest. "We are so proud of Camron," Johnson said. "What an inspiration." Charleston's RBI program utilizes Harmon Field, home of the 1955 Cannon Street All-Stars A 1995 Sports Illustrated article about the Cannon Street mess, titled, "Little League's Civil War," today the goal is to get more kids involved.